Brian Vargo is first and foremost a Designer and Inventor. He is also the founder of Vargo Outdoor. We talked with Brian from his home in Lewisburg, PA, about his love of titanium, his quest to design products with a “less is more” pedigree and the new products he will introduce at OR Summer Market this month. Vargo Outdoor began in 2012 with the Titanium Stake. 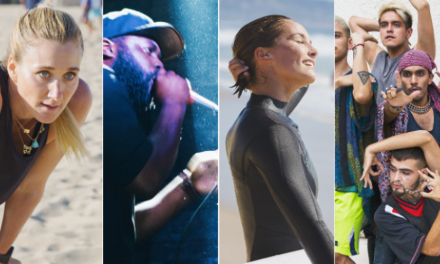 Fast forward, and the brand has grown to include backpacks, stoves, pots, mugs, water bottles, apparel, tents and much more. Pretty impressive for a company that started less than 20 years ago. Titanium is corrosion-resistant, has the highest strength-to-density ration of all metals and is lightweight relative to other metals. Why is it your material of choice? Titanium lends itself to hard goods. It’s highly resistant to temperature, which is why we use the metal for our alcohol stoves, but also our wood stove, which is one of our top-selling products. The products are able to withstand the intense heat of burning different types of bio-mass, whether it’s wood, etc. It has a lot of great qualities for our industry–backpacking, hiking, etc. Why did this become your material of choice? Had you worked with metals before? I really hadn’t. It was more from the user standpoint. I had used a lot of gear back in the day that was either made of aluminum or other less quality or weaker materials, and I knew that Titanium was, of course, known to be strong and light. It made sense for me and at that time, and there was really no one else using it when we started the company in 2002 with the exception of Evernew and Snow Peak. So we focused on Titanium and the types of gear we could make out of the metal to fill that void from a U.S. perspective. 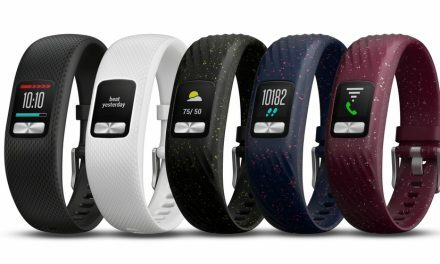 What was one of the first products you wanted to design? An alcohol stove. In the early days, most alcohol stoves were DIY-types. They worked fine functionally, but they were very easy to crush, didn’t last very long. And the other issue in those days, there really wasn’t an integrated pot support. 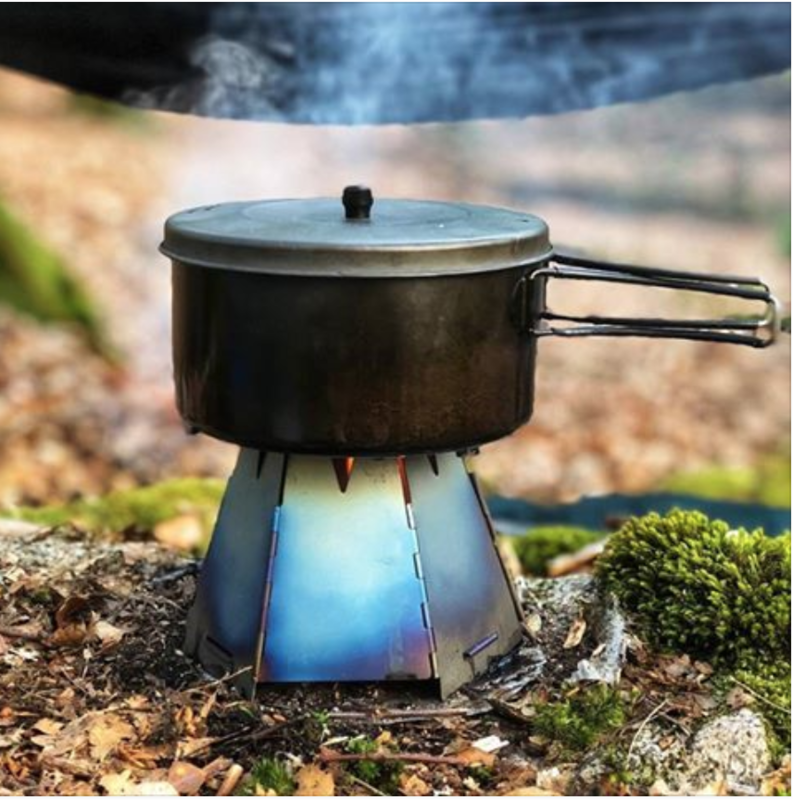 The Triade Stove—which is one of our popular products—I integrated the three folding legs to develop that product so it would be very durable, light weight, wouldn’t rust … basically last forever. I try to always design and manufacture products that are different and, in my opinion, are better than what’s already available. You never had experience working with metal before. How did you get from point A to point B? Titanium is really difficult to work with, and it requires a lot of very specialized equipment. I never personally worked with the metal. I went about the process by developing a concept, drawing it out and prototyping using whatever materials that I was able to work with. Sometimes they were incredibly crude and, more recently, using 3D printing to look at the design to make sure it is what we want it to be and then move into actually making prototypes out of Titanium. We outsource the prototypes and production in China. 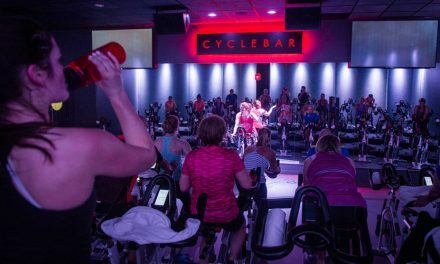 You were working in hard goods, and then you began working with fabric and created TiFusion. 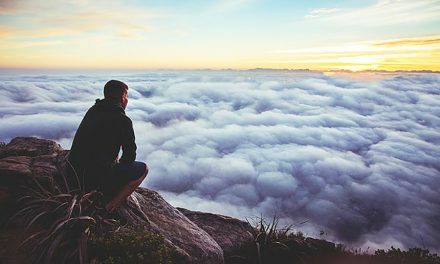 How did the conversation evolve from one material into another? First and foremost, we work with Titanium. A few years ago, I was reading about titanium dioxide and some of the properties that it has in relation to apparel. I was intrigued and found companies in China that had the chemical to treat the fabric. After infusing the fabric by dipping it into a bath of titanium dioxide, I worked with a local university in Lewisburg, and asked our ambassador athletes to test the fabric to see if the applied solution helps you stay dry, helps sheet off water and helps you to stay fresh. And it did. Titanium dioxide reduces the bacteria on clothing. It’s a safer chemical, unlike silver dioxide, which is also used to treat fabric, but is a heavier metal and worse for the environment. Do you consider yourself both a designer and an inventor? Yes. First and foremost I enjoy creating new products. As a company we are known for our Titanium hardgoods, but I wanted to expand into other categories, and that’s why we tried apparel. 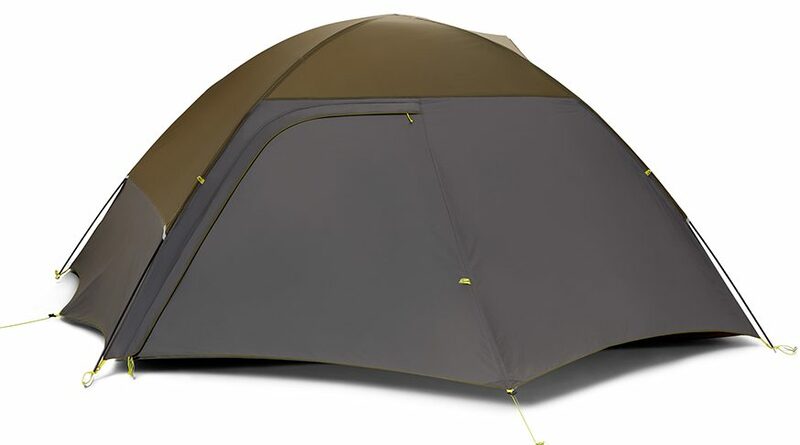 This year, we are offering the Vargo No-Fly 2P Tent, which includes Titantium stakes, but other than that, there is nothing else in the tent that’s made from titantium. 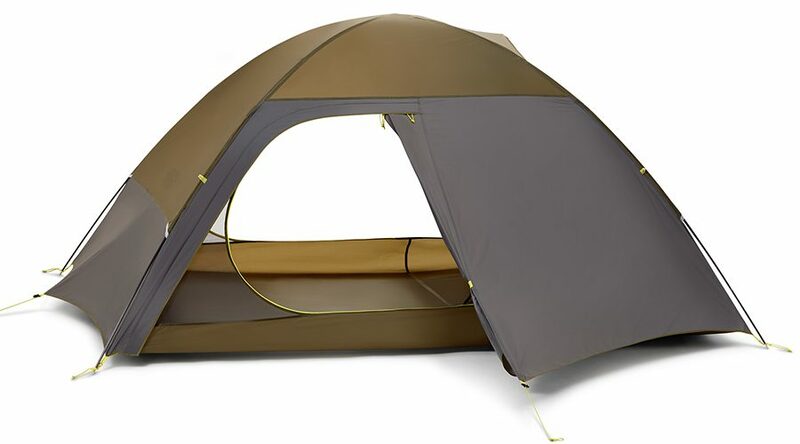 Why did you design a Tent? For the integrated rain fly. 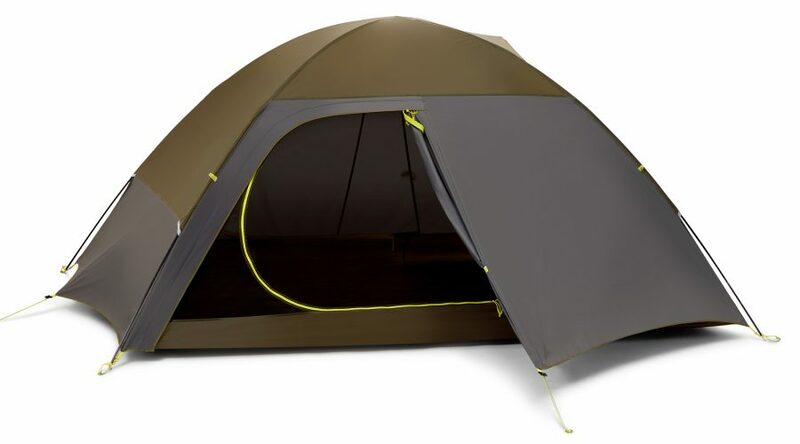 There are tents on the market that offer a rain fly, but, for me, they were never quite right. 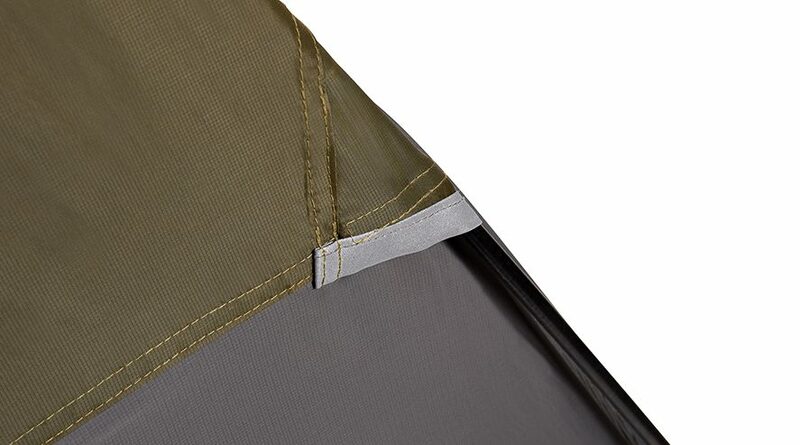 From an invention standpoint, I integrated the rain fly in a way that makes the tent look like a regular tent. 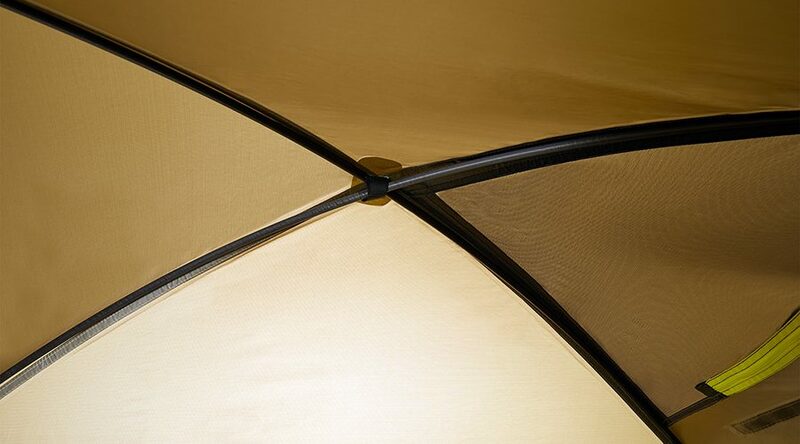 There are a lot of really cool features about the tent that I am really excited about. I created a simple set-up system where you don’t have tent pole sleeves all the way through. I created a hole and system that allows you to put the tent poles through an external quadri-point system which is Velcroed at the bottom. You pull the Velcro open and up inside that Velcroed patch—you have to run up to the apex of the triangle—there is a small half-inch diameter, and that’s where the tent pole pushes through and out the other side. 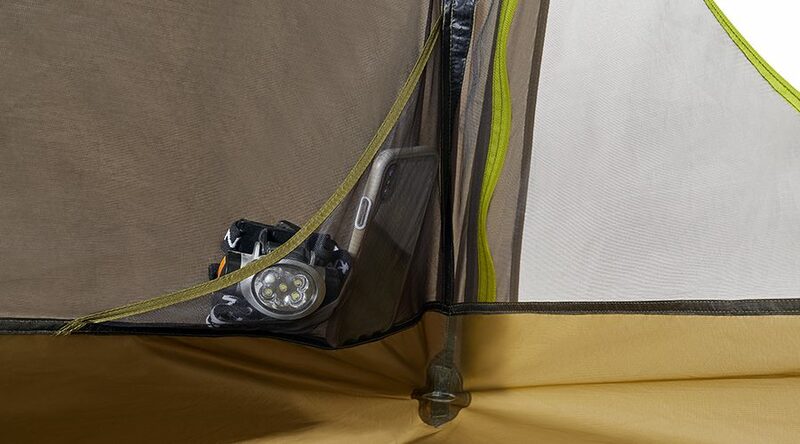 There is no other tent on the market that has this set up system. They all use tent pole sleeves or clips. We patented the setup system. Simplicity is the key? Yes. The simplicity of the setup system follows the theme of what I am trying to do with our products. Boil the products down to the essence of what is really needed. The Bot is a good example and really popular, a screw-on lid on a bottle/pot combination. You don’t need to take a water bottle and a pot when you are camping, etc. ; you use your water bottle as a pot. Less is more. 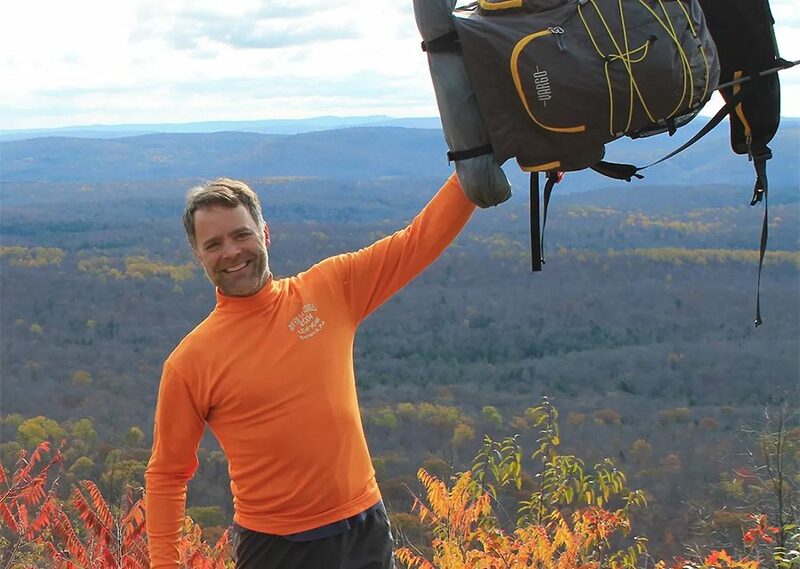 What are three products from Vargo Outdoor that every outdoor enthusiast should own? We have different consumers, and it depends on what they are looking for. That said, the Triad Stove, the Bot / Bot 700, Titanium Tent Stakes and utensils. What new products will you be showing at OR Summer Market this month? 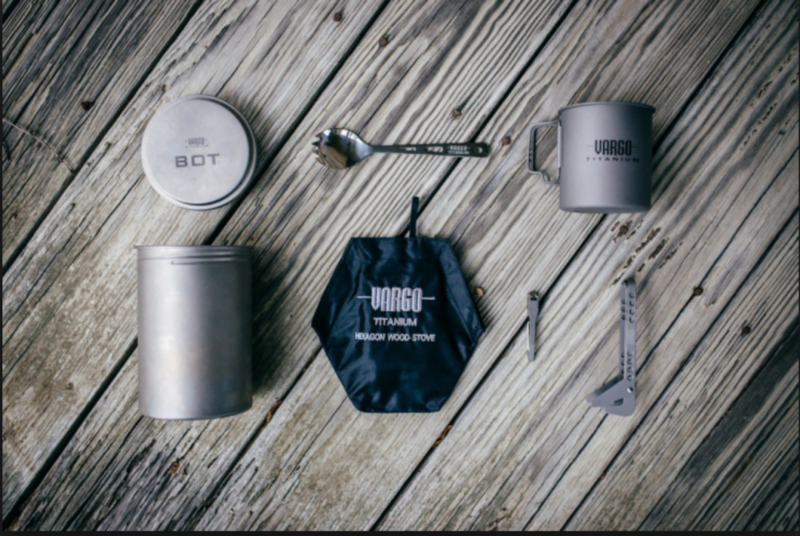 TheVargo No-Fly 2P Tent and our Double Titanium Mesh Travel Coffee Filter, a simple product that will sit on top of any size mug—within reason. It’s a great product, super lightweight and really compact. Visit Brian and the Vargo Outdoor team will at ORSM Booth #54129UL to see the new products on display. Photos courtesy Vargo Outdoors.